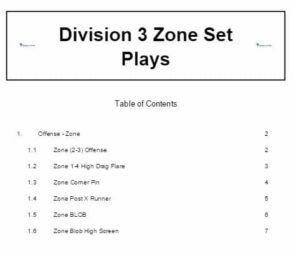 Attached in this playbook are 6 zone set plays that we saw in Southern Collegiate Athletic Conference play last season. 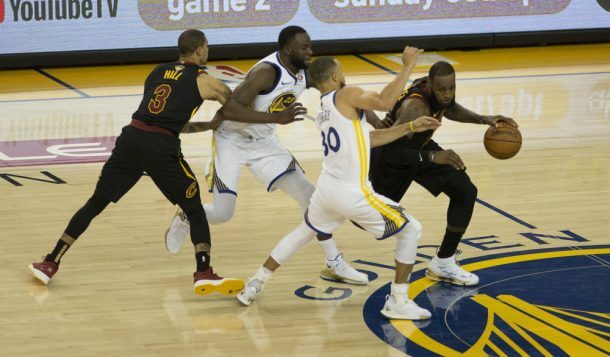 The playbook includes four set plays and two baseline out-of-bounds plays. Our conference opponents play a significant amount of zone defense, especially in out-of-bounds situations. The most common zone that we see during conference play is a 2-3 defense. 1 passes to 2 then cuts to the right corner. 3 replaces 1 and gets the ball from 2. 3 looks to pass inside to 5 flashing to the elbow. If the bottom zone defender jumps out to the corner 5 looks to make the quick pass to 4 at the block. 1 passes to 2 on the wing. 4 and 5 move down to the block and corner from the elbows. 2 passes back to 1 then 1 dribbles left. 5 flashes high and gets the pass from 1. 4 sets a flare-screen for 2. 1 passes to 4 who passes to 2. 1 cuts to the opposite short corner and 3 switches sides of the floor. 4 dribbles right as 5 replaces 4 and 1 sets a screen for 2. 4 passes to 5 who looks to pass to 2 for a shot. 1 passes to 2 as 4 and 5 cross the lane to the blocks. 2 passes back to 1 and 1 dribbles left sending 3 to the rim. 2 replaces 1. 1 passes to 2 who passes to 3 cutting to the right wing for a shot. 4 and 5 start above the top zone defender. 2 stays behind the double screen and looks to get a pass over the top.